Since Carl Jung published Psychological Types in 1921, introverts have been branded as shy people who were only interested in staying quiet and away from normal activities. After that book came out others followed and things got even worse. Introverts have been branded as being hermits and excessively withdrawn from this world. There is nothing wrong with being an introvert, however. In the society we live in, groups like Dale Carnegie´s foundation are trying to convince us that extroverts do everything right, but introverts do what needs to be done, and can enjoy life besides. And what every introvert needs to enjoy life, of course, is a great dog. Some dogs are better suited for extroverts, but many dog breeds are perfect companions for an introvert. If you are quiet and have chosen to become a writer, an artist, or are just enjoying life strolling down the beach or sleeping in your hammock, choose a breed that can be quiet, steady, good-natured but not too outgoing, and able to lie quietly at times and enjoy your bursts of insightful energy at other times. I have picked a few good choices here: giant, large, medium, and small breeds. Which dog breeds are the best choice for introverts? 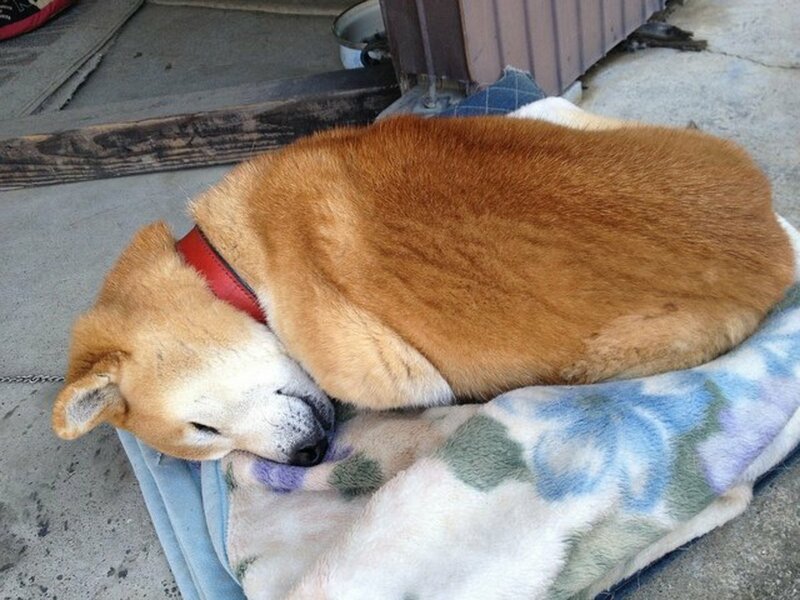 This dog breed proves that it is possible to be quiet and perceptive, even when you are in the body of a giant. 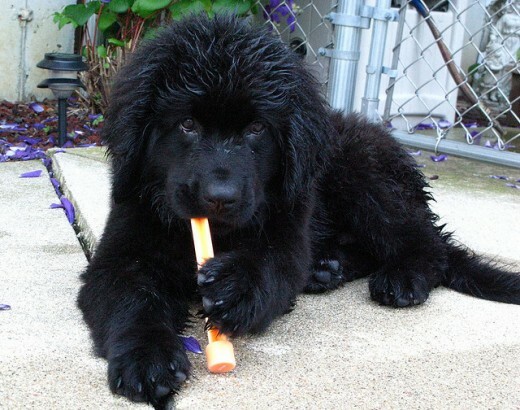 Newfoundlands (Newfies) are great with kids and noisy families, but are able to curl up in a corner and stay calm, and they are always more than willing to wake up and burn up that excess energy swimming in the lake or river. Newfies do drool a lot, shed huge amounts of fur, and of course since they weigh 70 to 80 kilos (150-170 pounds) they do need to eat more than a smaller dog. For all of those reasons, they are not for everyone. But are they good for an introvert in search of a big companion? Of course. They are not the calmest dog but are excellent companions for someone who leads a life that varies between steady and hectic. If this is the choice you make, there are a few other things to keep in mind. 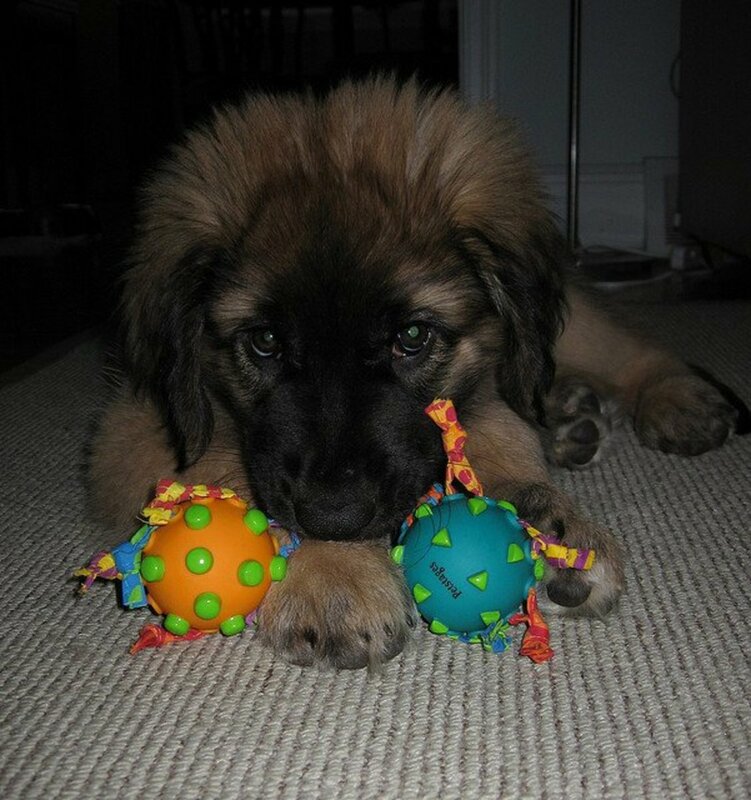 A Newfie might come down with serious health problems like heart disease or hip dysplasia, and only about 38% of them make it to their tenth birthday. A Newfie will be calm through it all. Your dog might even save your life in the meantime. The other giant dog that is ideal for an introvert is pretty famous and may be mistaken for one of those happy dog breeds most favored by extroverts. Anyone watching the “Beethoven” movies probably thinks this is the last dog to add to a quiet household. Remember though, that it is only a movie. 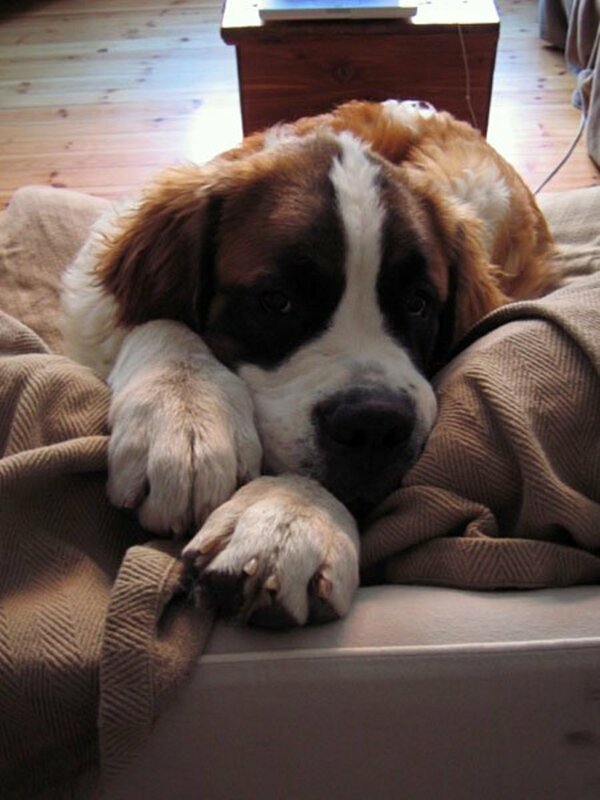 Yes, St Bernards are large, around 70-120 kilos (150-250 pounds). They do need to be well socialized, and are a lot of dog for some people to deal with, but if you can handle the drool they are great dogs. Even without the cartoon flask on their neck, the dogs are natural heroes and may end up drawing you out of the house on a quest. When you take your dog out they excel in sports like weight pulls competitions. 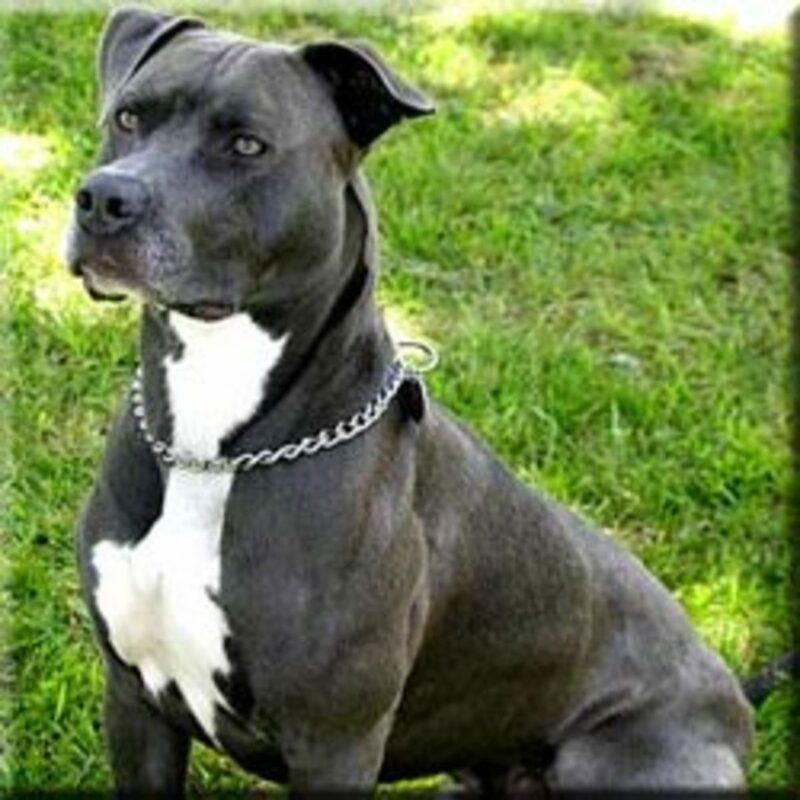 Health issues also need to be considered carefully if you choose this breed. They are prone to hip dysplasia and elbow dysplasia, and some dogs are affected with heart disease, eyelid problems, and even epilepsy. Try to find a good breeder and meet some adult St Bernards before deciding for sure that this dog is right for you. 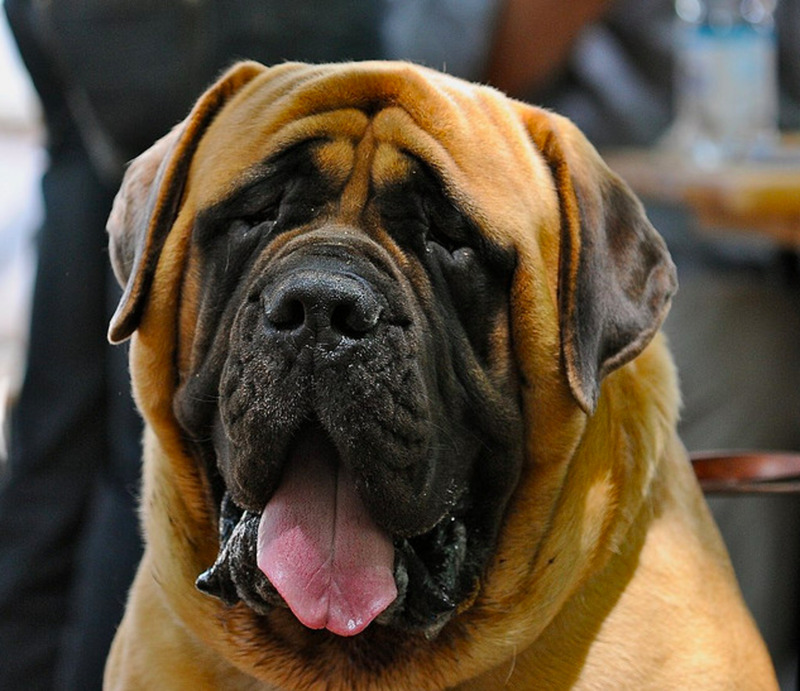 A lot of giant dogs have steady personalities and are good choices for an introvert. The other giant dogs you might consider are the Great Dane, the Mastiff, and the Irish Wolfhound. This breed of dog is another good choice for an introvert but their personalities are quite different from the giant dog breeds listed above. They are an energetic sled dog breed but are usually okay if resting most of the day; by the afternoon, get ready to walk. 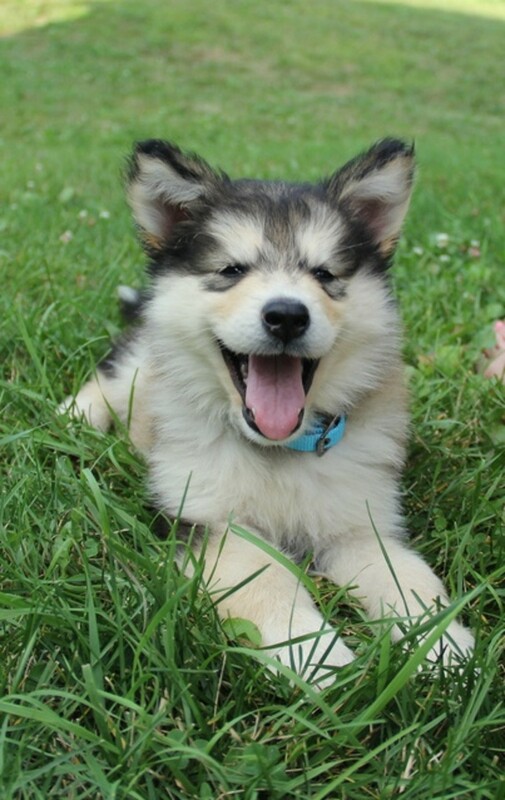 Alaskan Malamutes have a lot more energy than some dogs and will require plenty of walking or other exercise to burn up that energy. Every day! Your Malamute is not going to sit around and wait for the weekend. Malamutes are big, so even though they may not be as expensive as the giant dogs they still eat a lot, shed a lot, and veterinary expenses can be a lot for some families to handle. If you are a strong willed introvert, and are looking for a strong willed dog, this is one of the best choices. If you are looking for a breed of dog that is big but not too large, and one that will be willing to sit or sleep quietly most of the day, the Greyhound is a great choice. Most of the dogs available for adoption are retired racers so they are used to being locked up in a crate all day, and will happily spend all day sleeping on your couch. Like all dogs, they do need to get out and take a walk at least once a day. Besides being food dogs in an apartment, Greyhounds also do not bark much. If you choose a Greyhound you will be getting a great companion and a dog who will provide a good reason to get out of the house. Beagles are a good natured small to medium sized dog (around 15 kilos). That makes them popular since some apartments do not allow larger dogs, and since they are small their veterinary expenses are lower and they do not eat as much as a big dog. 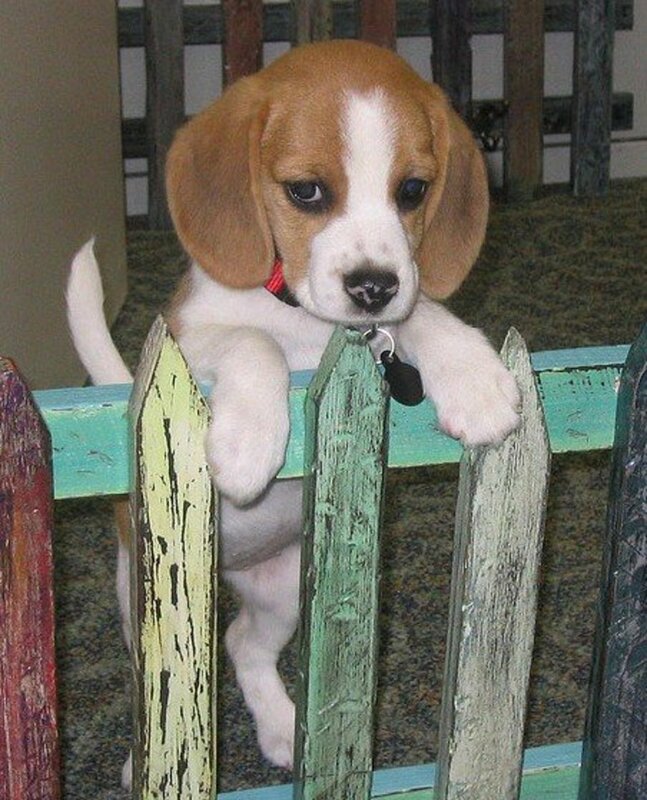 There are a lot of other reasons that Beagles are so popular. Beagles are good family dogs, like cats, are smart (but often difficult to train), and are so friendly that they are not recommended as watch dogs. 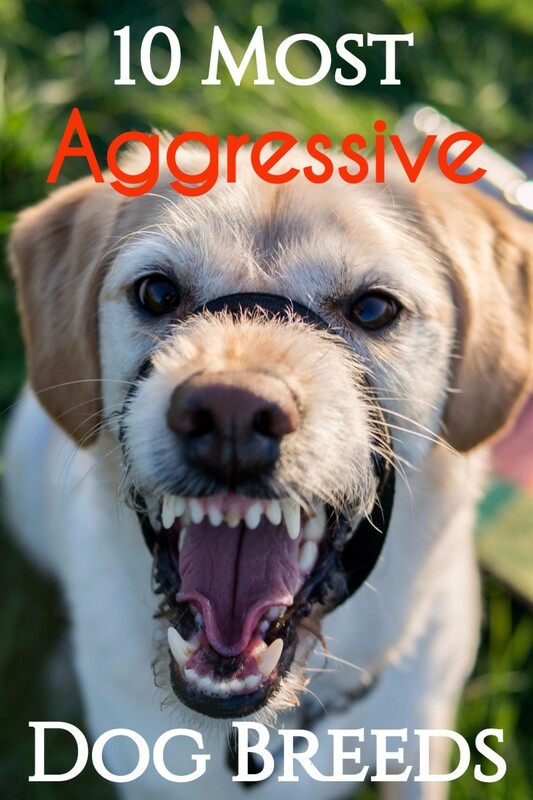 Most of them do not have an outgoing friendliness, however, and they make great dogs for an introvert. Besides being fairly reliable dogs that usually have even personalities, the Beagle is a healthy dog. They are sometimes prone to ear infections because of their floppy ear anatomy, and some dogs have eye problems, but most are so healthy that they live without problems up to about 12 or 13 years. Just do not plan on getting one of these dogs and leaving her alone all the time. If you do, you will probably find out how they like to howl! The smallest choice for an introvert is the Shih Tzu, a long haired dog that does not shed much. They do require some maintenance, as they need to be brushed every day to keep their long coats from matting up, and these little dogs also need their teeth brushed even if on a raw dog food diet. Most of the dogs I have met are steady and good natured. They are usually quiet, and do not need to be exercised excessively because their short noses makes it hard to breathe when they overdo it. The West Highland White Terrier, the Miniature Schnauzer, and the Schipperke are alternatives if you want a smaller dog breed but the looks of the Shih Tzu are not what you are looking for. Do any of these breeds appeal to you? It is important that you like the way your dog looks, but no matter which purebred dog you choose, buy him or her from a breeder. 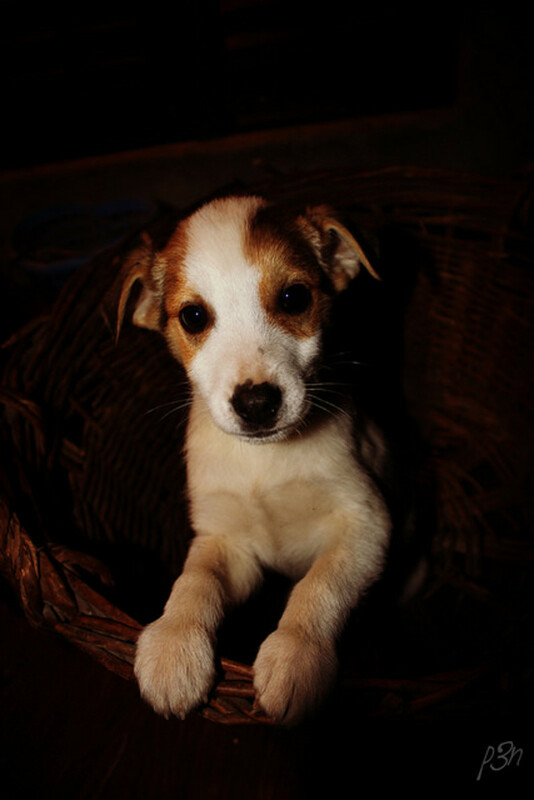 Pet shops support puppy mills and you may be taking home a dog with both behavioral and health problems. If you prefer to adopt a dog from a shelter, discuss the personalities of the dogs available for adoption. Tell the staff what kind of dog you are looking for and let them choose what is best for your situation. There is also a website available called Petfinder.com that will allow you to search for all the dogs available for adoption in the surrounding states. Take a look at the list below, and find yourself a dog. Every one of us deserves the company. 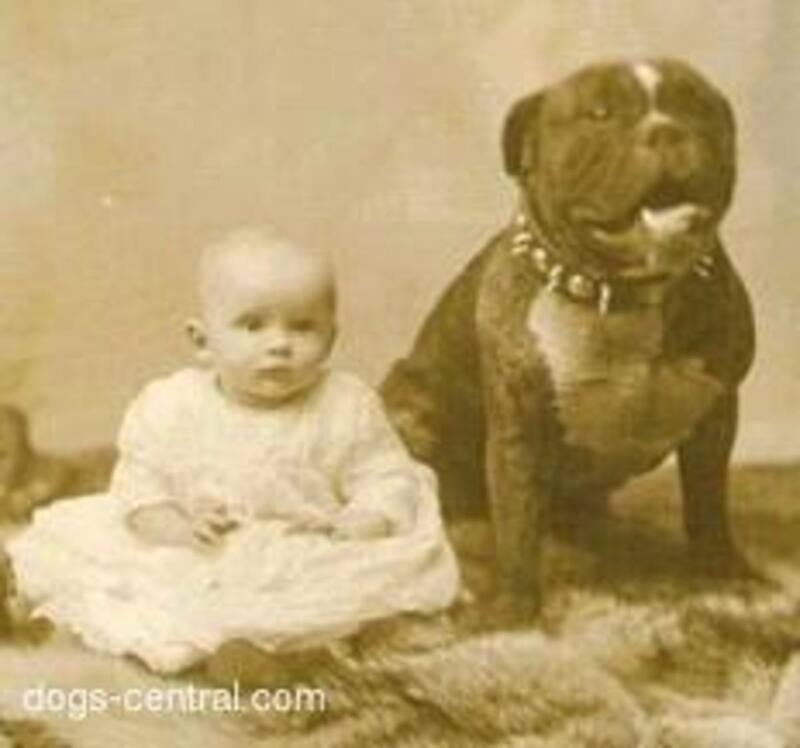 Are you looking for a new breed of dog? The American Alsatian is an interesting new breed that looks like a wolf and acts like a teddy bear. Brenda, sorry to hear your Doxie is so afraid of being outside, It may help to find him a trainer to work with him in a day care situation. At his age though, it is hard to be sure. If you cannot find anyone to help, it may help to have another dog that is more outgoing, like a Min. Schnauzer. Try finding a dog through a rescue and tell them if he does not work out for your personality you may need to bring him back. Good luck finding a solution! I have a mini doxie, I would love to take him for a walk, but I get about half way down the street from the house and he wants to go back, it doesn't matter how hard I try to get him to continue the walk, he pulls and tugs to go home. So I turn around and head back home, the only thing is, when he is going back home, he runs. It's like he can't get back home and inside fast enough.. He is 10 now, and he has been like this most of his life. 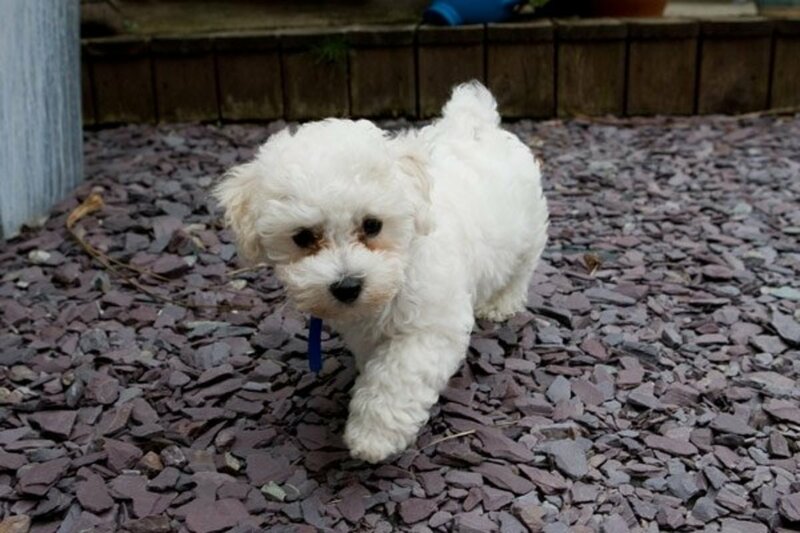 Even as a puppy, trying to train him to walk was NOT a wonderful experience for either of us. I to, am an introvert, so I thought this would help us both, but no luck. I'm an introvert. I read a book several years ago on introverts. I can't remember the title something with the word "quiet" in it. I'm very creative. I don't have any friends like I did when I was younger. I do get lonely and can't work because of a disability. I have three dogs and two birds. I have a Sheltie; she's 10 or 11 years old, a little mix; her mother was an Yorkie and her father a Shitzu-Poodle mix. Her name is Pebbles. As you made the comment not to buy a puppy from a pet store because their puppies come from puppy mills, I purchased a Chinese Crested: hairy/hairless from a pet store. I purchased her because she was discounted for being deaf in one ear and since I'm handicapped and so was she. I felt that we'd make the prefect pair. I met her breeder who said that she had three females and one male. She would breed the male with one of the females. Besides the deafness that is genetic to the breed, one of her rear leg's knee cap moves around and she limps for a very short time after naps, but Pebbles has the same condition. I collect Kokopelli's, so I named her Kokopelli. I learned that this breed has skin conditions. She also has allergies to almost everything. I was giving her shots, but that became too expensive. I bathe here with a medicated shampoo and groom her myself. I read that females were difficult to potty train. I've potty trained her. She doesn't like to go out in the rain and that's when she goes inside. 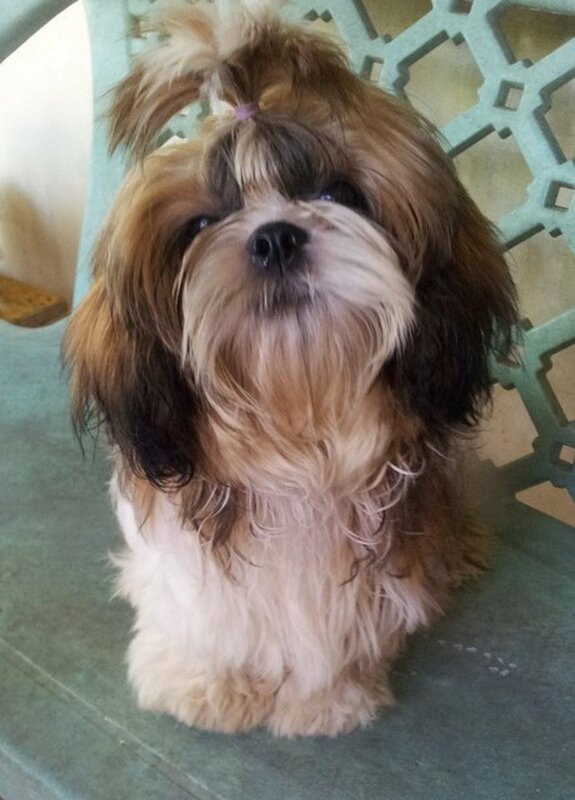 I took her to dog training classes and the trainer said that she was the happiest and smartest Chinese Crested she had met. She is always by my side especially when she naps. She sleeps under covers when she is with me. Right now, she is sound of sleep snuggled up against my back. I'm sitting up. She's very protective of me and I've got to be careful when someone comes close to me. She's jealous of Maggie when Maggie brings the remote to anyone. She acts like she can do it. I'm going to train her to do helpful things for me. I started to train Maggie to be a companion dog. Even with all her problems, I feel like she's the perfect fit for me. I have a parakeet and a cockatiel. Budha, my cockatiel is very person orientated to recognition and verbal. Even if he isn't a dog, he's more of an extrovert. I need to work more on his training than I do. There was a Giant Mastiff in one of my dog training classes. We'd switch dogs to walk and his stride was like a smooth lumbar. He was very relaxed. I am an introvert and have an American Staffordshire Terrier mix and she is the best!!! She loves to just lay around all day, rarely barks and gives the best hugs. We go to the dog park a few times a week and loves to socialize with all the other dogs but is just as happy when it is just us at home. He sounds special, QuoteAmber--good thing you found him. I am into solitude too, and my Pitbull cross always sits at my doorstep to evaluate anyone before stepping into my house. Is it a good thing? Maybe not. Would I tell her to stop doing her "job"? No way. That was a really good post! Personally I am an introvert and I got a German Shepherd to go along with my personality. He's so protective, that he keeps everyone else away and helps facilitate my introversion. Not sure if that's a good thing or not. This article has made me fall in love with two new dog breeds -- the Newfoundland and the shih tzu. Very nice article. Hi Blond Logic! Thanks; I just finished making a banana/maracujá/papaya salad and was thinking about your great hub on papaya. It is always great learning something new. Interesting topic, I never thought much about getting a dog to suit a type of person. It makes complete sense, though. Oh what a wonderful hub. I love anything to do with dogs and this gem was a treat. Great work and voted up. Boy, I don't know how you come up with these, but you keep pulling them out of thin air and providing lots of useful and interesting reading. I've known a few greyhounds, and invited greyhound rescue groups to hold events at my store, and now that you mention it, they'd be ideal for introverts. When greyhound racing was outlawed in this state and the tracks closed, the local greyhound groups eventually disbanded, so they weren't around to come to my store anymore. They were always a big hit with customers. Voted up, useful and interesting.